It has been quite a day, hasn’t it? The line that the ECB spun last night, that the Graves position yesterday was not, in fact, an opening of the door, but merely a restatement of current positions is eroding before our eyes. Nick Hoult’s latest piece in the Telegraph seems to paint a very different picture, and even Selfey’s article gave the game away because he writes it as if there is a chance KP might come back before defending Downton et al. Other articles in The Guardian, here and here, intimate that the existing ECB line last night might be a little, er, premature. I don’t know – maybe someone really in the know can keep those of us outside really informed. Then we might not get so up in arms, eh? There are clearly, it seems to us trying to figure out what the hell is happening through the prism of our journalistic corps, divisions in the ECB; differences of approaches and perhaps personalities and nuances to do with timing of posts being actually filled. Nature, and bloggers like me abhor vacuums. There’s something afoot, because we’ve seen it before. We remember how Cook was disposed of, the modus operandi of putting something out there, getting the reaction, and moving from there. We aren’t out of the World Cup, yet this looks like jostling for positions to me. The World Cup had better come right or there could be more of this on the way. In the absence of clarity, in the absence of the full context, we’ll try to fill in the blanks. 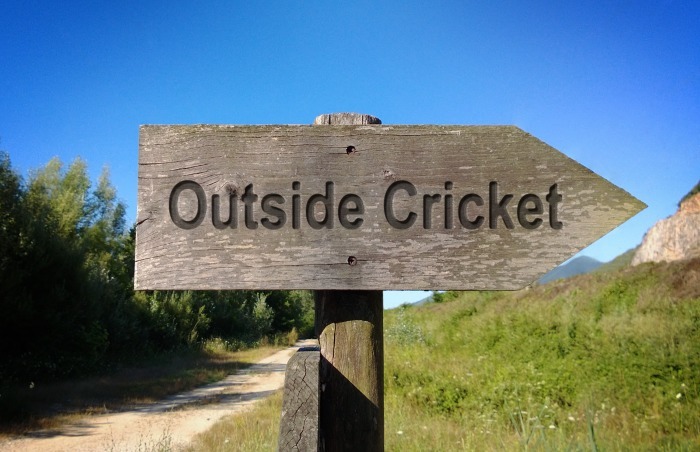 This blogger, as you know, has a job, watches cricket when it fits in with his life, and has many other things to do. I do not pretend to be a journalist, and I doubt you will ever find a claim to it on here, it’s not my job and I do this because, believe it or not, I enjoy it. I’ve written on the sport I really enjoy and am thoroughly saddened by in the past year or so. I indulge in speculation based on comparing articles with what I hear, with what I’m told, with what I read, trying to cross reference where I can, but time is limited. I watch the sport, have a vast back catalogue of books, dvds, magazines and podcasts. I’m a cricket nut with not enough time. I also think I know a little, not a lot, about human nature. I am not friends with any cricketer. I hear gossip, much of it told to me by the way, by people who might know. If this is guesswork, then so bloody well be it. But it’s guesswork based on caring, based on looking and reading and trying to draw conclusions. You know, the sort of thing we all do. Why the anger? Well, a journalist today, who we all know, and I’ve been pretty civil to on here and, from communicating on social media I quite like, posted this on my Twitter feed. @DmitriOld Why use picture of that fine journalist, the late Doug Ibbotson, for your blog, much of which is quite unpleasant and guesswork? Here’s why I put a picture of Doug Ibbotson on my blog feed, (and it only really seems to appear on my dashboard, which you don’t see, and on blog posts copied onto Twitter) John. Because the edition of Wisden Cricket Monthly in around 1988 it comes from had it, and the thought that a journo today could have a photo like that as his identity pic, complete with pipe, amused me. Plus, as you say John, he was a damn fine journalist. As was David Foot. As was Neil Hallam. The brilliance of the county scene in those WCMs is a million miles away from what we get today in our cricket magazines. So maybe it’s a little nod to a previous era. And maybe, just maybe, a pic of an old journo with a pipe is pretty damn good. I’m not comparing myself to him, I’m not thinking I’m a journalist, and I’m certainly not meaning the use of the pic in any mean-spirited way. I do hope you are not implying that. And please don’t invoke the old “he’s more of a journalist…” stuff because I know he was. Because I’m not. I’m sorry if you find this blog “quite unpleasant”. I plead guilty to this being guesswork in the main, because I’ve not pretended to be ITK. But you aren’t exactly playing by the rules on your side either. I actually have a fair bit of time for John Etheridge. I’m surprised he picked on this as something to try to beat me with. Come on, sir. By way of a public service, I managed to capture some of the BTL comments from the Selvey article that got deleted. I have reproduced some of them here. If the author wishes me to take them down, then please let me know and I will be happy to do so. I stored a few others, but they haven’t been deleted yet. Don’t sit on the fence, Mike. Honestly, it makes you wonder doesn’t it, about the supposed impartiality of so-called ‘journalists’? Since when was it acceptable to so nakedly express one’s opinions of a player like this? I suppose it beats the normal innuendo, but quite how Selvey thinks this sort of thing is acceptable is beyond me. It’s faintly amusing that he should be so hostile towards our best ever batsman (going on statistics…), whilst affording the current shitshower of an England team and its hierarchy every courtesy. This bit too made me chuckle – could it be any more matey? Proof, if it were required, that Selvey is essentially a mouthpiece for Downton. What a puppet. Since when is it acceptable journalism for a correspondent to be so nakedly hostile to a player? I understand you don’t like the man, but afford him some respect, Mike, as England’s best ever batsman. You sound like Etheridge. Since when is this sort of journalism acceptable in the Guardian? Sorry about the fonts going all over the place…. Sadly, most of the mainstream press (with a few notable exceptions) have chose to ignore reality. Others were saved but remain, lots more I missed….